Tropicalia by Simon-Pierre Lacasse is an endearing piece of music that will have you missing those cold winter evenings for snuggling up close to the ones you love. The modern day folk album is a masterful work of outstanding artistry and skill. Beginning loud and energetic “Broken City” hears the French Cowboy hitting an almost Neil Young worthy vocal register. The second tune “Progreso” is a much more calm excursion into Lacasse’s sound with a gnarly effects driven surf riff at the end. Beat-ridden “Veracruz” shakes the formula up vocally with a bit of a spin on Lacasse’s already ranging style. “Oaxaca” is my favourite tune of the bunch; perfectly embodying the warm, calm folk Lacasse is so damn good at. The walking finger picking and passionate vocals elevate the track above today’s more commercially focused acoustic music. Finally, “Sayulita” says See-you-lata (you laughed don’t lie) through a slow introspective tune that would even make Bon Iver shed a tear. 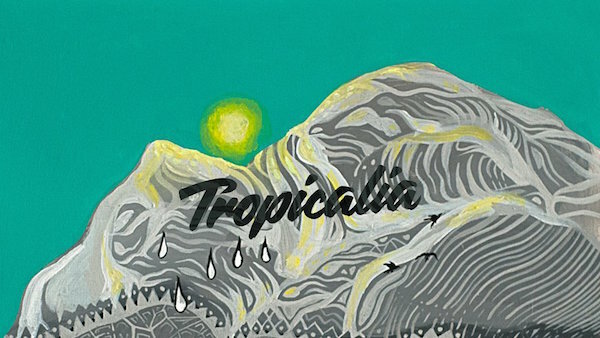 Overall Tropicalia is a very comprehensive album, it’s well composed and even more impressively executed. Available through Bandcamp on June 17, the record is rolling out with a release party at La Passe in Montreal. Be there or be square, seriously, because Simon-Pierre Lacasse’s Tropicalia is the best record to come out of the city in 2016 thus far.